Horsetail is a perennial herb that has been around for over three hundred million years. From as far back as the beginning of herbal medicines, horsetail has been used for a number of purposes. The horsetail plant derives its name not from any physical relation to horses, but due to the fact that it used to be tied to a horse’s tail to help scare away flies. It can be enjoyed in many different ways and it exhibits a number of different health benefits. When made into horsetail tea, it contains high amount of different minerals, including manganese, potassium, aluminum, and flavonoids. This is the primary reason why this tea is consumed, although some like the distinct flavor, and others may be interested in the other specific benefits that horsetail can give to your health overall. These are all worth taking a look at. To begin with, horsetail tea has been used throughout the years to treat urinary tract infections. It is a diuretic, meaning that it helps flush out excess water and waste from the system by promoting the flow of urine. This leads to a cleansing effect not only in the bladder, but also in the kidneys, helping to reduce the strain that can lead to urinary infections. Furthermore, because it is so high in other trace nutrients, you can do this without flushing away your vitamins and minerals, which is what happens sometimes when you use other detoxification herbs. At the same time that it cleanses the system and wards off infection, however, it also can perform other tasks within the body. If you have weak lungs, or suffer from respiratory ailments such as bronchitis, tuberculosis, or asthma, you might want to think about drinking horsetail tea. It contains a high percentage of silicic acid, which has been shown in studies to help strengthen the lungs and increase resistance to invaders or disease. This also helps to increase the rate of expectoration, potentially clearing out any waste that has been built up in the lungs. Studies have shown that drinking horsetail tea is often used for strengthening bones as well. This makes this tea useful for those that suffer from conditions such as osteoporosis by increasing the density of brittle bones. This is because horsetail helps the body to better absorb and use calcium, which is what results in the strengthening of bones. This can also help with other issues such as arthritis, which is joint pain that is often due to the wearing down of bones and joint ligaments. For these issues it is recommended to take horsetail tea in addition to calcium supplements and foods that are high in calcium to better absorb more of this essential vitamin. Preparation: Steeping one bag of horsetail tea in a cup of hot water for approximately 10 minutes will yield you with a strong brew that is effective for many different health conditions. Before prolonging use, however, it’s best to be aware of potential side effects, and always speak to a doctor before taking herbal supplements if you are nursing or pregnant. In addition to these useful benefits, horsetail tea also helps in a number of other ways such as the strengthening of healthy hair and nails, aiding with skin problems, relieving kidney stones, memory loss, gingivitis, and the list goes on! For many, it seems that this tea has something for everyone due to the many benefits that it has to offer. If you are interested in purchasing horsetail tea locally, it is most likely to be sold in the tea section of health food stores. Alternatively, it is also conveniently sold online by excellent merchants like Buddha Teas. When choosing an online vendor to buy teas from it is imperative to make sure you are purchasing from a store that you can trust. 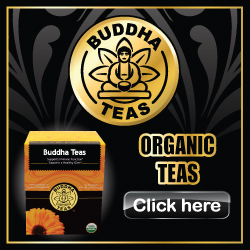 Buddha Teas sells all teas as 100% organic and prepared in bleach-free tea bags. This means that you will be receiving high quality teas in their best form, free from unwanted, harmful chemicals that can linger on other processed teas. We truly hope that you have been able to find this article useful and informational. However, if you still find yourself with remaining inquiries, you are welcome to contact us for further information regarding this wonderful tea.